Where to find the stuff you need to succeed. Essential tools for all musicians of all levels. 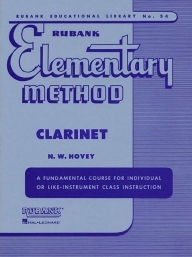 I recommend beginners rent or buy a Yamaha Advantage clarinet and purchase a Debut mouthpiece by Clark Fobes. You will also need reeds, preferably Rico strength 3. A cotton or silk swab and cork grease are also necessary. Please support these local business, they all have excellent customer service and are an important part of the local music scene, but Amazon has had a negative effect on them. Please use them when you can! ClarinetQuest/SaxQuest - 2 locations. Repair, instruments, reeds* and accessories. Nottleman's Music - 2 locations. Repair, rentals, instruments, reeds and accessories. Midwest Sheet Music - Sheet Music - located next to the ClarinetQuest west location. Owned by a clarinet player! Mozingo Music - Far west county. Instruments, repair, reeds and accessories. *ClarinetQuest has THE BEST reed prices: better than the internet. Muncy Winds - instruments, reeds, accessories - everything! A family owned business with excellent service and great prices.